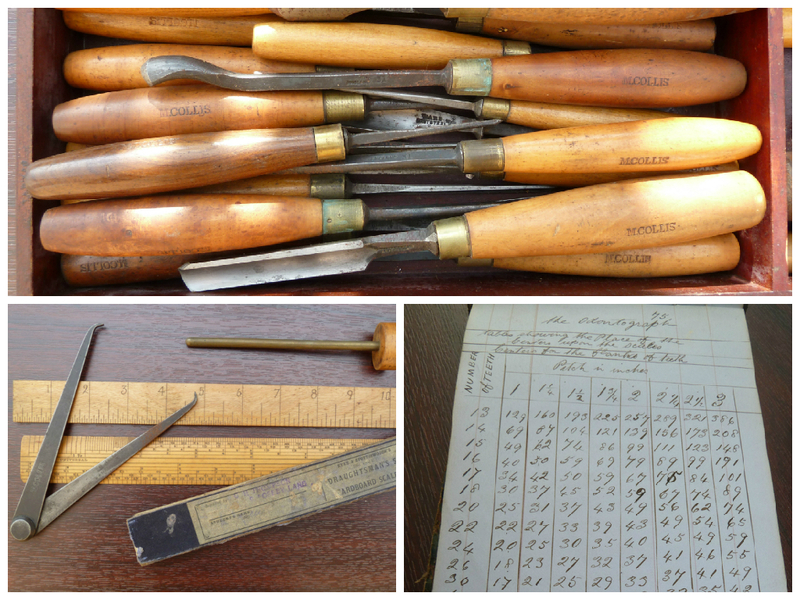 Lift the lid of the heavy tool chest and peer into the working life of Martin Collis. As an engineer’s pattern maker at a Leicester iron foundry, he fashions mahogany into models, ready for sand casting with molten metal. 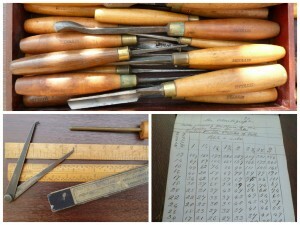 This is precise work, a task of fine tolerances and exacting standards: “measure twice, cut once”. By scrimping his weekly wages, Martin populates the wooden chest with tools: dovetail and rip saws are inset into the lid, chisels, gouges and planes sit in the pull-out trays, with set squares and sharpening stones in the space below. As he hones his craft, his tools develop a familiar grasp – the turn of the gouge, the bite of the saw, the sweep of the plane. He uses an odontograph to space the teeth on a gearwheel, juggling the geometry and jotting down his calculations in a battered notebook. He learns where to place the sprue and riser channels, so that the molten iron, bronze or aluminium flows freely. He develops an intuitive feel for shrinkage rates and machining allowances. 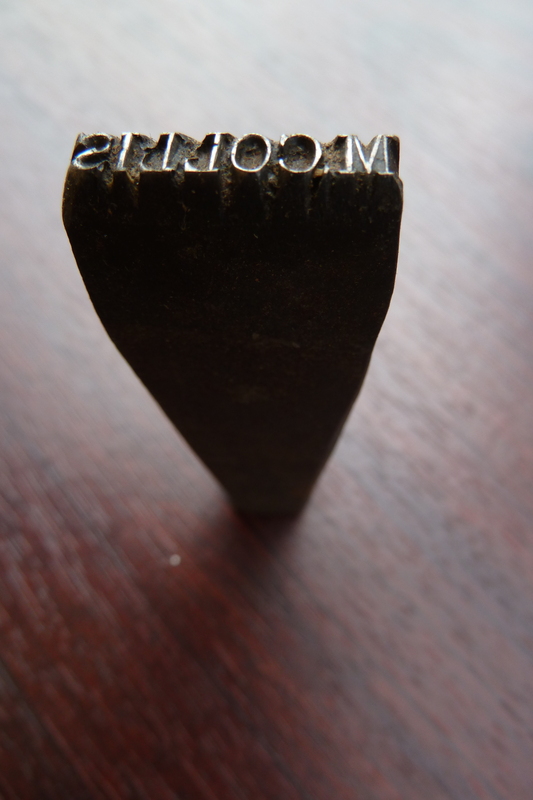 In the foundry they make a name stamp – and he wallops ‘M COLLIS’ into each boxwood handle. He’s in the pattern-making trade to stay. Take a look at other examples of ‘Heirloom’ articles and suggestions for writing one yourself.